Mom or Dad Signed a Transfer on Death Deed, How Does This Work? Start your claim form here. Do I pay taxes to make the transfer? Oklahoma does not have an Estate or Inheritance Tax. Federal Estate taxes for someone who died in 2018 don’t apply unless the total estate was more than $11 Million. This does not trigger income tax if you are inheriting from a family member. There are not filing taxes just a small filing fee. Real estate does have an annual property tax. What if there is a lien or mortgage, will I become liable for that? An existing lien or mortgage will continue on the property but you will not become personally responsible for it. If you sell the property the lien holder will get paid from the proceeds. You can also pay off the lien. certified copy of the Death Certificate. State of Oklahoma Death Certificate request. After the Affidavit of Grantee Beneficiary is completed it must be filed in the county where the property is located with a certified copy of the death certificate. Do Your Digital Accounts Die with You? Can Yahoo Withhold or Destroy Records? John Ajemain, Forty-Six died in a bicycle accident. He had no Will or Trust. His brother and sister became the Personal Representatives (PRs) of his estate. They sought access to John’s “digital assets” in particular Yahoo e-mail account to review for other assets such as bank accounts and liabilities. Yahoo denied access and a court battle ensued. Yahoo refused relied upon the two points. First they claimed that the Stored Communications Act “SCA”(18 USC Sec. 2701) prevented such disclosure. Yahoo also claimed that the terms of service agreement governing use of the Yahoo account allowed them to withhold or even destroy the information. The Court examined the SCA and found that the act was established to prevent “overzealous” law enforcement from gaining access to private accounts. However, the SCA provides an exception to the nondisclosure to “with the lawful consent of the originator”. Yahoo’s position was that the PRs “cannot lawfully consent on behalf of the decedent, regardless of the estate’s property interest in the e-mail messages”. In Yahoo’s view, only a living person had the authority to grant the consent. You agree that Yahoo, in its sole discretion, may terminate your password, account…and remove and discard any Content…for any reason”. The Court was not certain that this provision was enforceable or whether the essentials for a valid contract existed. In short, there wasn’t sufficient evidence to show that there was a “meeting of the minds” with regard to Yahoo’s Agreement. The Supreme Court sent the matter back to the Trial Court to take evidence on the matter. Digital Power of Attorney: Your power of attorney should provide your agent with the authority to access your accounts. This is increasingly necessary as many banks, financial products and other transactions occur digitally. Failure to have access may be disruptive in the event of a disability. Digital Powers in Will: It is a good idea to include digital authorities in your Will which grants your Personal Representative the authority to access accounts. 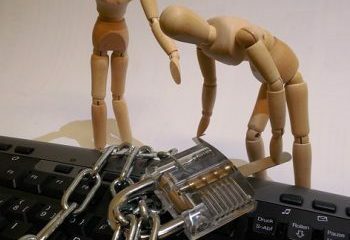 Password Access: The powers stated above are useless if one does not have access to the passwords. Use a service like LastPass and DocuBank to keep track of your passwords. Paper Copies: The Yahoo case shows why it is important to maintain some paper copies of your important records. Perhaps it is a good idea print out some statements and keep them with your other papers. 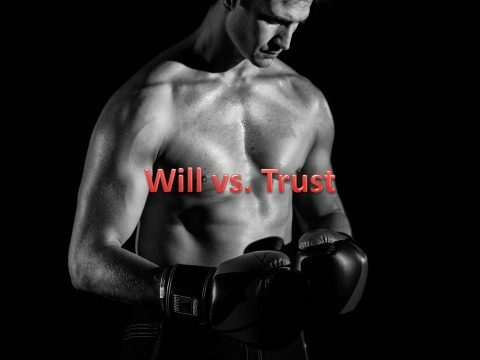 A Will or a Trust? Which is Right for Me? “What is the difference between a Will and a Trust?” In many ways these Estate Planning Documents are very similar in what they accomplish the major difference is how the goals are accomplished. Both a Will and a Trust distribute property upon the death of its maker. The major difference is how we get to the point where the property is distributed. A Will requires a probate court and judicial oversight to work. A Trust requires no oversight by a court or judge. 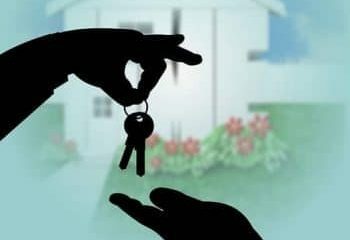 A Will distributes property without restrictions which allows somebody as young as 18 with full access to an inheritance. A Trust can control the timing of distributions. A Will does not protect an inheritance from claims of your kid’s creditors. A Trust can be structured to protect an inheritance from a kid’s creditors and predators. A Will does nothing until the maker dies. A Trust is a living document which allows the person in charge the ability to manage the assets and make distributions to beneficiaries. A Will becomes public record that anybody can snoop to see how much is in an estate and who ended up with your assets. A Trust is a private document and few of its details require public disclosure. Todd’s father passed away. He was named Trustee of this father estate. While he was cleaning out the house a passerby inquired whether the home would be for sale. He was able to accept an offer and close that very same month. If the property was left in a Will nothing could happen until there was approval of a probate court. Instead of one month he would have had a delay of up to 6 months and incurred attorney, publication, appraiser and filing fees. Todd was glad to avoid those troubles. A person makes a will by drafting and signing a written document. It must clearly be a statement of the person’s “Testamentary Intent”. In other words, it must state to whom property is to be given after their death. There are also strict rules on how the document is drafted and witnessed. If any of these are messed up then it is not a valid will. After a Will is created it lays around and waits for its maker to die. None of its provisions becomes effective until the person dies. For instance, if the plan is to give land to a son, he does not own it yet. There is a a further requirement that a Probate Court determines that the Will is valid. Keep in mind that this is just a snapshot of what is involved in a simple case. A probate procedure can take nine months to several years to complete. In the simplest terms, a Trust is a vehicle that holds assets in the name of the Trustee. Imagine a child’s Radio Flyer wagon. When things are placed in it the wagon “owns” them. The kid pulling the wagon gets to decide what gets put into it. He also writes a Rule Book that describes when and how things are taken out of it. He pulls the handle so he is in control. Someday he will not be able to pull the handle because he dies or loses the ability to manage it. The Rule Book states who picks up the handle and what is to happen with the things in the wagon. Unlike the Will, the Trust works without the need for a Probate Court of Judicial Oversight. In Todd’s story, he picked up the handle and managed the property quickly and efficiently.